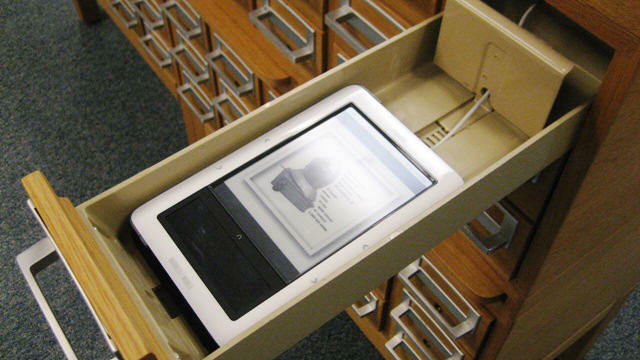 Can Digital eBook Lending from Libraries Hamper Book Sales? You are here: Home / Commentary / Can Digital eBook Lending from Libraries Hamper Book Sales? The essence of this issue is if digital lending from libraries actually hurts online bookstores? Obviously libraries have been lending out physical books for hundreds of years but the digital frontier is evolving dramatically and many online retailers are struggling to adapt. If people can just borrow books for free, what incentive do they have to purchase it? My opinion is people with lower incomes traditionally are the ones that patronize libraries in the digital realm. Tangible libraries in small towns have more functions than just lending books, but they also provide parents with an easy way to get their kids out of the home and discovering the love of reading. It also functions as a study hall for students to all get together and work on group projects. I would say that libraries that lend out digital books do not directly hinder online retailers that sell the books, because they are not in the position to buy them anyways. I don’t think its fair to blame libraries for devaluing books by lending them out for free. This is actually the main reason why many publishers pulled out of doing business with Overdrive. Many bigwigs are of the belief that if you give it away for free it really makes the item worthless. I think people are looking to deflect the blame from their existing business model that often becomes irrelevant fairly quickly, due to the dramatic shifting landscape of digital books and online retailing. I work in a library that lends ebooks and audio books through Overdrive. The ebooks and audio books both expire after their due date and cannot be opened. So, the reason for buying an ebook even if it’s available to borrow from the library is the same reason you would want to buy a print book rather than check it out–you want to re-read it or you want to have your copy–whether physically on the bookshelf in your home or on the shelf of your ereader. Just like print books, the books are licensed to only be shared with one patron at a time–I’m on waiting lists right now for audio books I want to borrow. I don’t see how loaning a book will hurt the sales–in fact, it could help them. If it’s a book I want to read badly enough, I won’t wait through everyone else who wants to borrow it–I’ll go buy it. Just like a print book. I try before I buy. Always have. There’s only so much money in my entertainment budget, so I try to spend it wisely. If I can’t try out a new author or series in the library first, I don’t commit myself to buying the works in case they aren’t my cup of tea. So publishers who don’t sell to libraries lose my business. business with the big houses such as Macmillan, Penguin, S&S, etc. try unfamiliar publishers who provide great value! People buy books for different reasons. And the reason that you can not borrow eBook from library is not the reason they need to buy it in most cases.